Yesterday, May 17th, the LulzBot TAZ 6 desktop 3D printer was officially made available for purchase from LulzBot.com and through their reseller partners. 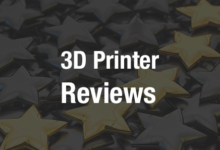 The highly anticipated follow-up to 2015’s best reviewed desktop 3D printer includes everything that was great about the TAZ 5 and adds a slew of new, enhanced features that have never been available for the TAZ line, and it is a very safe bet that the TAZ 6 is going to end up on just as many best of lists for 2016. Colorado-based Aleph Objects brought the newest iteration of their widely praised, open source line of TAZ 3D printers to RAPID 2016 in Florida, where conference visitors, including 3DPrint.com, can see its newest features in person. The TAZ 6 was completely re-engineered with higher-quality electronics, a fully internal power supply and more reliable components. It also adds some improved firmware, a better heatsink, enhanced print cooling features and it can 3D print with even more materials. It also brings over a bunch of the more popular features from its little sibling, the LulzBot Mini, including a self-leveling, self-cleaning heated PEI surfaced printing bed. As to be expected, the TAZ 6 is completely open source, so it can be modified and upgraded with a wide variety of hardware and software options. “I’m super excited about bringing the ease-of-use features of the Mini to the larger platform capabilities of the TAZ line. I’m also so excited to be here at RAPID, there are so many happy faces here. It’s always a pleasure to represent open, free software,” Aleph Objects Sales Manager Josh Bryant told 3DPrint.com at this week’s RAPID event in Orlando, Florida. As with its open source hardware, the TAZ 6 was designed and built with an open filament format that makes it fully compatible right out-of-the-box with dozens of the industry’s most advanced 3D printing materials including PLA, HIPS, ABS, PET, Amphora co-polyester, nylon, polycarbonate, wood and metal composites. Even more filaments and material options are available to it thanks to the modular, easily swappable TAZ toolhead upgrades for printing with flexible materials like NinjaFlex, and a dual extruder for printing with multiple materials. The TAZ 6 also beefed up its printing envelope, and now boasts an industry leading 280 x 280 x 250 mm (11 x 11 x 9.8 inches). Each TAZ 6 3D printer purchased will also include a full year of LulzBot’s excellent live phone and email technical support, which is available seven days a week. As with the entire family of LulzBot 3D printers, the TAZ 6 includes the LulzBot version of Cura that includes integrated 3D printing profiles for more than thirty filament types. The LulzBot version of Cura is one of the most robust versions of the open source software available. Thanks to Aleph Objects’ commitment to open source hardware and software they were awarded the prestigious Respects YourFreedom Certification from the Free Software Foundation. “The TAZ 6 represents an evolution of the TAZ line with new features such as auto bed-leveling and an enclosed, integrated power supply. Being from an open source software company, the TAZ 6 is able to print with a variety of materials. We’re excited to be debuting at RAPID 2016 to show the capabilities of the printer and to further promote the 3D printing industry,” Aleph Objects Marketing Associate Kara Sawinska told 3DPrint.com. The TAZ 6 is the end result of tens of thousands of hours of testing from their team of engineers, and feedback from the active and vocal LulzBot community. If you’re in Orlando for RAPID, make sure that you stop by the Aleph Objects booth and check out the TAZ 6 in action. You can find out more about the LulzBot TAZ 6 and purchase it now for $2,500 here. Have you used a LulzBot before? Discuss in the LulzBot TAZ 6 3D Printer forum over at 3DPB.com. The LulzBot Taz 6 from Aleph Objects.